Unfortunately, there really is no magic pill that can truly help weight drip right off you. Unless of course you are this horrible supplement . These so called ‘miracle pills’ are often damaging to the endocrine system and are no substitute for a healthy diet, exercise and natural supplements and herbs that we’ll discuss today. This pill in particular contains large amounts of caffeine, often more than what 4 cups of large coffee would provide, the result is an incredible boost to metabolism and excessive sweating, which causes weight loss. Not good at all. There really are some Herbs that can help you manage your weight in a number of different ways. Some work by aiding healthy water retention, often caused by a poor diet high in sodium (salt) while others can increase metabolism and even reduce sugar cravings and limit the amount of unhealthy carbs that may be eaten. Like anything else, herbs must be used properly to have the desired effect while minimizing the risks of unwanted side effects. 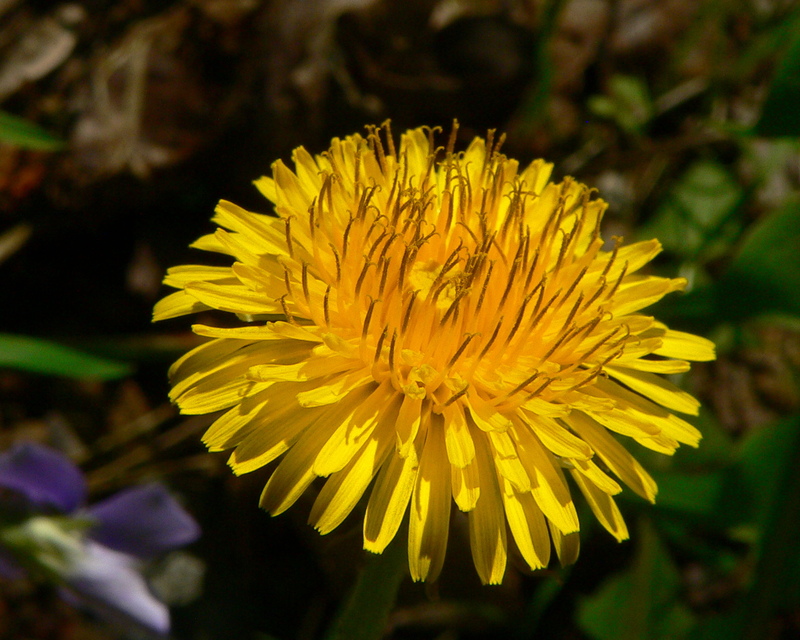 Dandelion: This herb is primarily an effective metabolism booster. A powerful digestive aid, it actually stimulates the bodies ability to metabolize fat molecules, reducing build up of cholesterol and removing excess lipids from the digestive track. eat fresh dandelion leaves, e.g with a salad. We’re not sure how these taste though! Probably unheard of, Garcinia Cambogia Extract is a supplement that comes from the rind of the Garcinia Cambogia, a small round fruit. Studies conducted on test patients reveal that those who took Garcinia Cambogia Extract lost two to three times more weight than those not supplementing during a specific time scale. Rather incredibly, the subjects tested lost an average of 10lbs per month without any modifications to existing diets or workout regimes. Consequently, anyone wishing to enjoy slow natural weight loss without horrible miracle pills, or extreme celebrity fads, may benefit from Garcinia Cambogia. Garcinia Cambogia is an exceptional fat blocker and appetite suppressor. It allows for a better passing of fat through the digestive system and helps maintain healthy blood fat and cholesterol levels. Of course, suppressing ones appetite will result is less opportunities to gorge and prevent excess over or ‘binge’ eating. Green tea is rich in natural compounds called catechins, which to you and I are a class of antioxidants. These in particular have been linked with both increased metabolism, specifically, its ability to stimulate fat absorption. Green tea is the most popular on this list for pro athletes who usually drink green tea as part of a daily diet, to both reduce body fat percentages and to detox the system and remove toxins. When it comes to green tea, there are many options available to you. Many prefer to simply drink green tea like this variety . But the pill extracts are equally popular. Take Two 400 mg capsules a day. If you opt for the Green Tea tincture take 10 to 20 drops twice daily. It’s best to take green tea with a meal. This herb helps you to lose weight by reducing powerful sugar cravings and regulates the balance of blood sugar within the body. Studies have suggested that Gymnema Sylvestre can help to slow down the receptors and absorption of glucose it the digestive system, helping to spread out the intake or sugar and prevent too much absorption in the first place. Caution: Do not take Gymnema Sylvestre if you are pregnant or breastfeeding, allergic to milkweed, or taking antidepressants or medication for diabetes. You should also avoid it if you’re taking St. John’s Wort, willow bark, or aspirin. Please check with a qualified professional before taking. Psyllium Husk Powder are one of the best sources of fibre you’ll ever come across, yet remain highly soluble and won’t wreak havoc if you’re not used to a high fibre diet. A high fibre diet is essential if you want to lose weight. The fibre itself helps you feel fuller for longer, when taken with water, psyllium husks swell in size. This causes a feeling of fullness and consequently reduces appetite in the user. Psyllium husks have also been shown to promote a number of other benefits, which include; improving the symptoms of irritable bowel syndrome, stabilizing blood sugar levels (very important for weight loss), Oat-like cholesterol lowering properties, and cleaning out the colon and digestive track, again, hugely important when considering herbs for weight loss. Psyllium Husks orginate from the seed of the Plantago Ovata plant (sometimes called this is health food stores and on amazon), which is found throughout Europe, Africa and Asia. We recommend using Psyllium Husk Powder , a finely ground version of psyllium husks which is incredibly convenient to take. We use this Fine Psyllium Husk Powder and take 2g with a glass of water. You can also spread it onto cereals and yogurt. CAUTION: When using psyllium for weight loss, you must drink plenty of water. Cayenne pepper is another powerful metabolism booster, often used as a spice extract in cooking. Cayenne pepper’s ability to increase thermogenic activity allows the body to burn more calories even when the body is resting. A study in northern Europe, in the Netherlands revealed that applicants supplementing with Cayenne pepper prior to eating ate less fatty foods too. Add cayenne pepper to your spices cupboard! Alternatively, you can actually buy Cayenne Pepper extract , a concentrated form of which will allow you to have more of this herb, without making every meal too spicy to eat. Try out these 6 herbs for weight loss or if you’ve tried some already please comment with what has worked best for you to help out fellow readers. However, not all ‘stereotypical weight loss pills’ are bad, for example, the store bought La Muscle tablets below on the left are actually just a healthy combination of green tea, herbal extras and amino acids (the building blocks of proteins) and is very likely to produce healthy results. However, the ‘grenade thermo’ on the right contains insane amounts of caffeine, and artificial fat blockers, that, in reality, will only cause long term health damage. Both are flashy ‘fat strippers’ yet are remarkably different in the ingredients. I guess you could say the lesson here is to always check the ingredients. We work hard to bring you articles like this, if you enjoyed this post, then please share it and explore our website for more tips, articles, and top 10 lists.